This volume is a selection of early morning meditation talks given on these sacred days, and other special occasions, by the President of The Divine Life Society, H.H. Sri Swami Chidanandaji Maharaj. They were given in the sacred Samadhi Hall of the illustrious Founder of the Society, His Holiness Sri Swami Sivanandaji Maharaj, at Sivananda Ashram, Rishikesh, India. These early morning meditation talks of Swami Chidanandaji Maharaj are completely Sadhana based and are guidelines for all devotees, explained in a simple way, and are a real inspiration for aspirants who are pining for the life eternal. Sanskrit language words have been put in italics. Normally their meaning can be understood by the context or their English equivalent which follows within commas or parenthesis. Otherwise, the meaning can be understood by referring to the Glossary. The whole year for the Indians is built around sacred days of worship of the various expressions of the One, Non-dual Divine Reality. 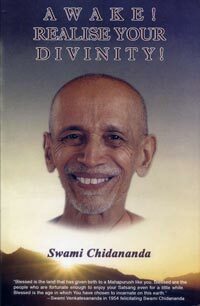 This volume is a selection of early morning meditation talks given on these sacred days, and other special occasions, by the president of The Divine Life Society, H. H. Sri Swami Chidananda Maharaj. They were given in the sacred Samadhi Hall of the illustrious founder of the Society, His Holiness Sri Swami Sivanandaji Maharaj, at Sivananda Ashram, Rishikesh, India. These early morning meditation talks of Swami Chidanandaji Maharaj are completely Sadhana based and are guidelines for all devotees, explained in a simple way, and are a real inspiration for aspirants who are pining for the life eternal. Two other widely acclaimed volumes of Swami Chidananda’s meditation talks—Ponder These Truths and A Call to Liberation—were published earlier. The talks contained in this book were given during the period 1988 to 1999 and were reserved for this unique publication. Like the talks in the two preceding volumes, these powerful messages will be found to be highly beneficial and inspiring to seekers from all faiths. Swamiji uses these special occasions as an opportunity to urge his listeners to renew their aspiration and striving for the goal of life, God-realization. In addition, many of the talks give new and penetrating insights into the occasions that inspired them. Oh Man! With every Sun-rise and every Sun-set, one day of your life is lost. By so much, your span of life has been shortened. In so much less time you have to do what ever you have to do. Therefore Arise! Awake! Do not postpone. Be up and doing. Be active upon the spiritual path. Wake up, open your eyes and behold God before you in this manifest creation. He lives and moves in the form of all creatures from superior man to tiny insect. Live to serve and adore the living God. Let life become your dynamic worship of the divinity that indwells all beings. Gurudev Swami Sivananda reminds you of your divinity, you are a radiant ray of the Eternal Light of lights, a child of God. Therefore make your life Divine with purity, truth and compassion, with selfless service, love for God, daily meditation and realisation. May all success attend upon you in the sublime task of divine life!